You must be a member of the Kiev Literature Group to attend this activity. Would you like to join this group? There is no doubt how books are food for the brain, so let's share a bit of it with others this time. I thought it would be a great idea to meet over a cup of coffee, discuss your favorite books, and lend or exchange them. 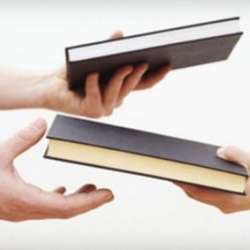 Each individual shall bring minimum of one book in English, and exchange them with other participants. And of course, enjoy delicious coffee or tea, have fun and make new friends!